Seaven Studios has announced they’re planning to release Knights of Pen and Paper 2 – Deluxiest Edition on Nintendo Switch later this year before Christmas 2018. 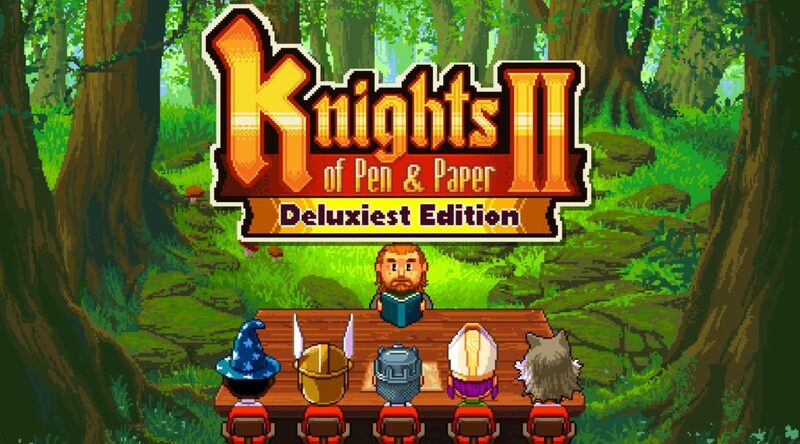 Knights of Pen and Paper 2 – Deluxiest Edition was revealed via a Super Rare Games announcement yesterday. The game’s physical release will be published by Super Rare Games, while the digital version will be handled by Seaven Studios.